Jyotiṣavedāṅga are a pan-international entity featuring guitarist Sadist from Indian black/grind/noise iconoclasts Tetragrammacide; H. from Russia's esteemed Sickrites on synths, noise, and effects; AR, from emerging Kolkata cult Banish, on vocals; and prolific Ukrainian drummer Dimitry Kim (Sickrites, Goatpsalm, Balance Interruption et. al.). While war metal undoubtedly forms the foundation of Jyotiṣavedāṅga's multi-dimensional attack, it is but a mere tool to be wielded - and, more suitably, malformed. 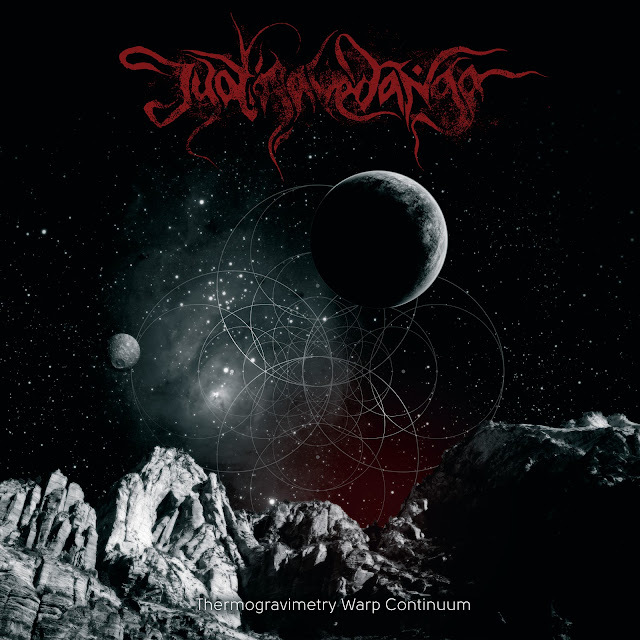 For 'Thermogravimetry Warp Continuum' is indeed a warp continuum sucking vortex-ward the most diseased and depraved decibels lurking within the all-too-often mutually exclusive scenes of black metal and power electronics, splicing various DNA and mincing its residual strains.